Looking to find customers online today? Pay Per Click advertising on platforms like Facebook and Google is a great way to drive visitors to your site. It can also be a good way to spend a lot of money very quickly. Often with very little return. Take the guess work out of your advertising and let our experts manage your campaigns. With PPC campaign management the only decision you have to make is how much you want to spend. Once the budget is set we do everything for you to maximize the return on your investment. Place text advertisments at the top of search results. Create Image based ads for display across over 2 million websites. Showcase your products directly to people actively searching for them. Advertise directly to users who have visited your website before. *Not all types of advertising are suitable for every business or campaign. Methods chosen based on campaign requirements. Trying to budget for PPC Marketing can be a nightmare. We have seen all sorts of pricing models; hidden set up fees, percentage of ad spend, revenue splits and more. Our pricing is simple, you pay one flat monthly fee. 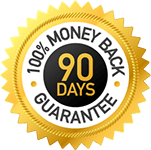 If you are an existing advertiser and we are unable to increase your average conversions per month or reduce your current average cost per conversion within 90 days we will refund all management fees. What small business owner has the time to take a course to understand Google's metrics and reports? How about a monthly report that shows you the figures you care about; how much you're spending and what return you're getting! You also receive weekly updates on what we are doing to improve the return of your adspend. Complete the form and we will call you back to discuss your online marketing needs. Which platforms are you using?